Thanks to everyone who has supported HOTWAB over the last few months, it's been a huge learning experience getting back in to the Webcomics scene. 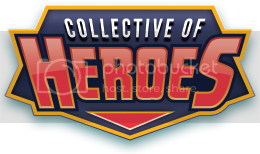 I've been very excited that my Webcomic has been accepted in to the Collective of Heroes. It's been like joining the Justice League of Webcomics! There are some very talented artists on that site and it's such a buzz to be among them. I'm currently finished issues 3 and 4, and 5 is in progress as the video shows, so I'm busy busy. I'm trying to have an organic feel to set the basic of what I set out to achieve with the comic, so the first chapter is bringing the characters together and setting the scenario. I hope it's working (I'm more of an artist than a writer), I'm hoping to aim the comic between new and interesting and camp and tropey. Anyway it's coming to Comic Fury every Monday and Friday for the forseeable future. Thanks again to all those who have given support.